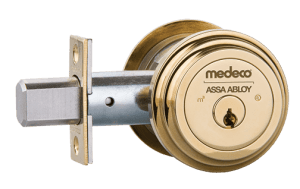 Different Locks for Home Safety. There are high security, medium security and low security. We are also going to talk about keypads. Its very important to have the right lock on your door of your home or business. Price can be a major factor so we will go over your best bank for your buck. Being a locksmith Sunrise we will give you the inside scoop on all the locks we described. Locksmith Sunrise will go over low security locks that can be good and some just are bad. Popular brands are Kwikset and Schlage. Kwikset has a lock called smart key which I highly recommend. It has two features that are really important that most low security locks don’t have. First is they are pick proof which is amazing for the price of that lock. As a Locksmith Sunrise I can tell you it is pick proof. You can drill it to open it as a locksmith but it is still a great security lock for the price. The second feature is you can re-key your own locks without knowing how to re-key. Yes it is that easy. Now talking about Schlage. This is a very sturdy low security lock. It is also hard to pick but you can pick it. You also have some other cheap deadbolts out there but I don’t recommend them. There is a reason the lock is 5-15 dollars. High security locks are exactly what there name is. Medeco and Multi-lock are the two locks that stand out to me most. I personally use Multi-lock but medeco is just as good. When there is a lockout with these locks for a locksmith West Palm beach its not an easy task. There are a lot of company’s that try to copy the keyway of multi-lock at cheaper price. Remember what I said a cheaper price and believe me the lock is not as strong. So pick your high security lock carefully. Keypads and commercial locks which I consider medium security are very good and I will go over why. Kwikset Keypads are pick proof which I feel are the best ones to get. Schlage also has some good ones also. There are a lot of company coming out with all sorts of exotic locks even blue-tooth and they actually seem to be very good. Now with commercial locks they are very sturdy more than residential but yes they can be picked and bumped. 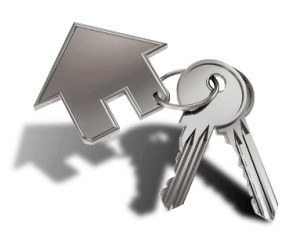 I hope this blog helped you and if you have any questions feel free to call A Lenny Locksmith.